The above info came from Saturn Urameshi, and was edited by yours truly (contact me). The image came from Amazon.com. This anime is based off the video game of the same name. 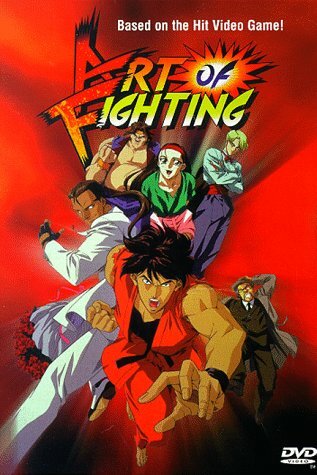 Ryo and his best friend Robert are mistaken by Mr. Big, the leader of a gang, for owners of a stolen jewel which he seeks. So, he kidnaps Ryo's sister, Yuri, to force him and Robert to give him the jewel. Now, they have to find it before the police, being that they don't have a clue about it. But, will Mr. Big really hand over Yuri after they give him the jewel? The above description came from Saturn Urameshi, and was edited by yours truly (contact me).